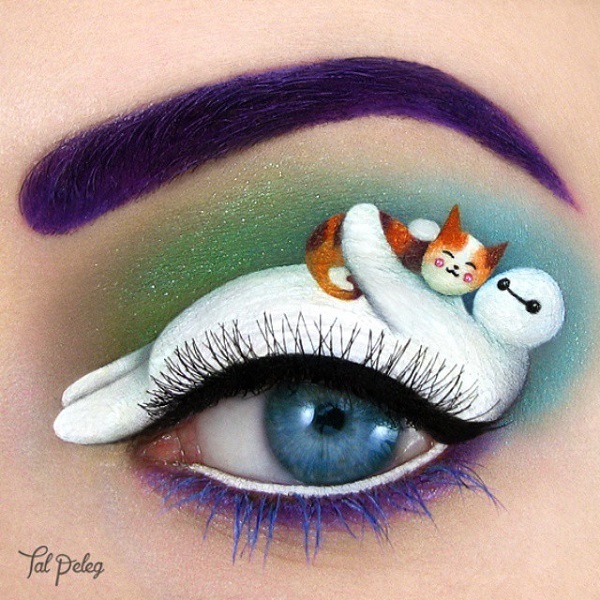 Makeup artist Tal Peleg, known for her amazing artwork created on eyelids, returns with more wonderful scenes. This time, she has created whimsical images of adorable cats sleeping, peering curiously, and lounging about lazily. Check out her feline-themed art below and view more of her creations on Instagram.